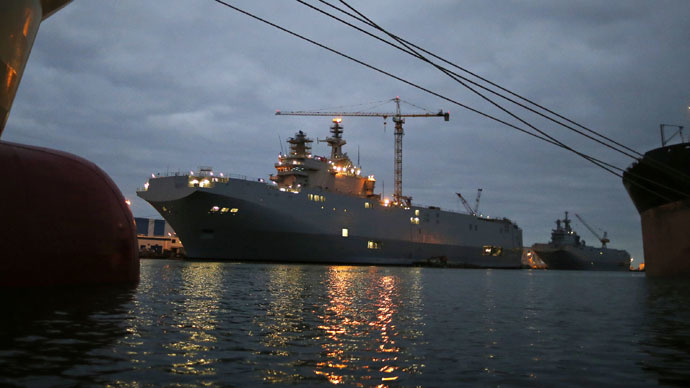 Negotiations on the Mistral ships in the Russian capital have wrapped up with no effect - and even without starting properly, sources told media, as the French delegation put forward an “absolutely impracticable” suggestion. “A delegation of French experts involved in the Mistral talks visited Moscow yesterday, but the negotiations came to nothing,” a source in Russia’s military cooperation circles told RIA Novosti, adding the delegation returned to Paris the same day. As a result the French didn’t even check into a hotel and left for Paris, the source said. 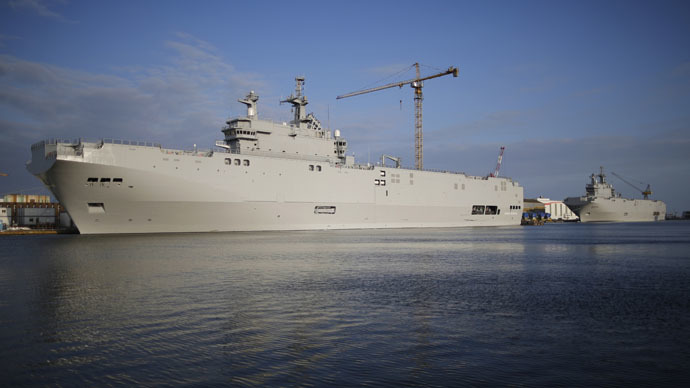 Russia and France signed a €1.12 billion contract to build two Mistral class helicopter carriers in 2011. The first ship of the series, ‘Sevastopol,’ was due to be delivered to Russia in 2014, the second one, the ‘Vladivostok,’ – in 2015. After Paris joined anti-Russian sanctions, Washington announced that delivery of Mistral ships to Russia was unacceptable. 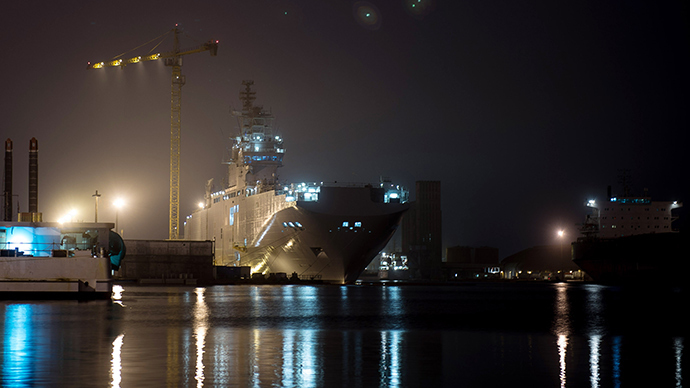 Mistral ships’ maker DCNS (Direction des Constructions Navales) Company assured (wrongly as it turned out) that sanctions could not prevent delivery of finished ships to the customer. 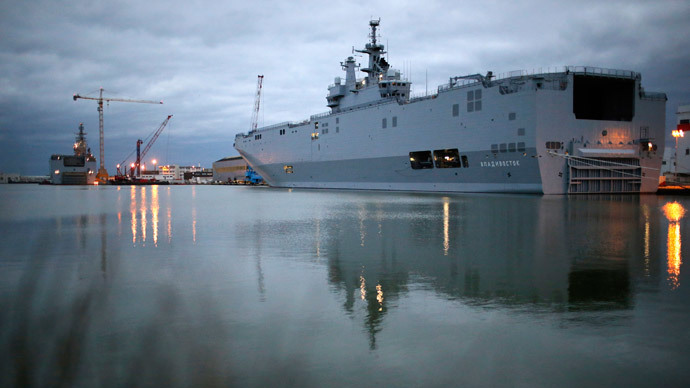 President Francois Hollande has been postponing the delivery of the vessels following the accession of Crimea and Russia’s alleged involvement in the Ukrainian conflict, making the Mistral deal the biggest bone of contention between Russia and France. Paris continues wasting an estimated €5 million monthly to maintain the ships. 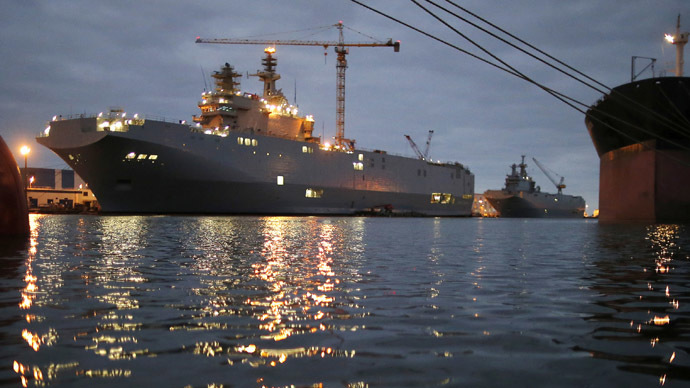 The failure to deliver two Mistral carriers to Russia could eventually cost France as much as €5 billion, if Russia insists on payment of penalties. Russian President Vladimir Putin has said Moscow just wants to be paid back what it is owed, while his French counterpart, Hollande, has reportedly agreed to this. 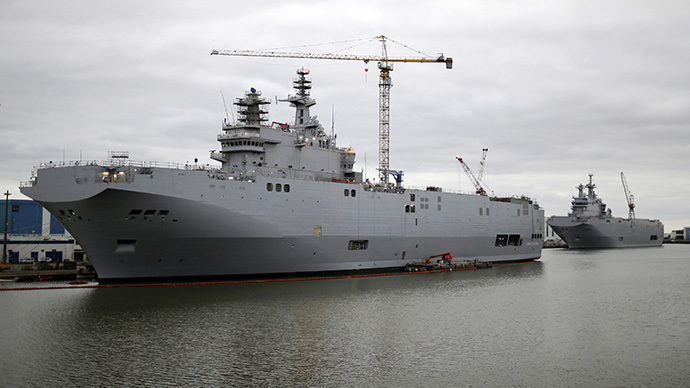 The Mistral with 21,000 ton deadweight (ship length 210 meters) can carry up to 16 attack helicopters such as Russia’s Kamov Ka-50/52, more than 40 tanks or 70 motor vehicles and up to 450 troops. The ships for Russia have been modified from the version used by the French Navy to operate in northern latitudes and ice-covered seas.